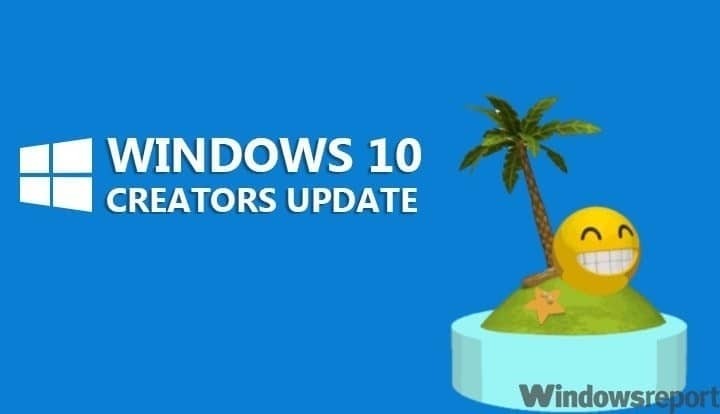 In order to get all the fruits that Creators Update brings to the table, you’ll firstly need to download and install it. Even though it sounds easy, for thousands of users this task proved as the mission impossible. Namely, a lot of users were unable to download the Creators Update due to a distinctive error, or, to be more exact, a bug that frequently orbits around Windows Update. It seems that they were unable to download the update due to lack of storage space. That would be a proper reason, but, apparently, it mostly occurs with users that have a plenty of free space on the system partition. As we already know, in order to download and install Creators Update you’ll need at least 16 GB of storage space. So if you meet the requirements but still have this issue haunting you, we prepared a few tips to help you resolve it. We presented them below so make sure to check them out. Background Intelligent Transfer Service (BITS) is the main Windows Update component. Basically, its job is to take care of the data transfer from the Windows Servers to your PC, and there so, to regulate and complete download and installation of the update. But, on some occasions, it may fail and that can lead to this and similar errors. You can reset BITS manually by using the Command Prompt, with the batch file, or with the Windows Update Troubleshooter that is Windows 10’s exclusive tool. You can get the tool from this link. After you download it, just run it and follow the instructions. After the completion, restart your PC and try updating again. In addition, some of the system temporary files may cause a glitch, or a ‘confusion’ if you like it, and that will lead to corruption of installation files. Namely, the installer may be ‘misinformed’ about the realistic storage space available and thus cause the above-mentioned error. In the Search Windows bar, type Disk Cleanup. 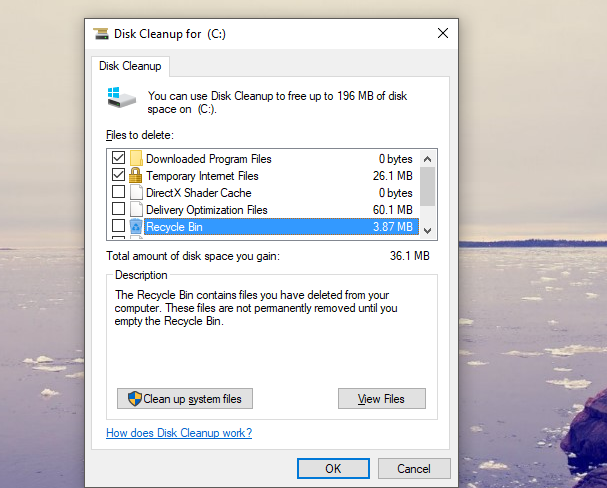 Open Disk Cleanup and select the system partition (most of the times it’s C:). Click on the ‘Clean up system files’ option and select the system partition again. Check the boxes beside Temporary files and Temporary Windows Installation files. After the process is finished, restart your PC. Give another try to Creators Update. 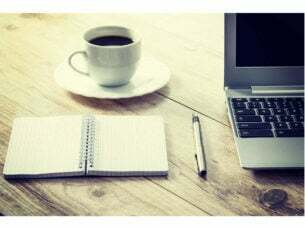 Even though the Disk Cleanup will clear the majority of update files placed under the Software Distribution folder, it’s not safe to say that this will resolve your issue. Namely, some of the corrupted or incomplete update files may still find refuge in the mentioned folder and provoke errors. 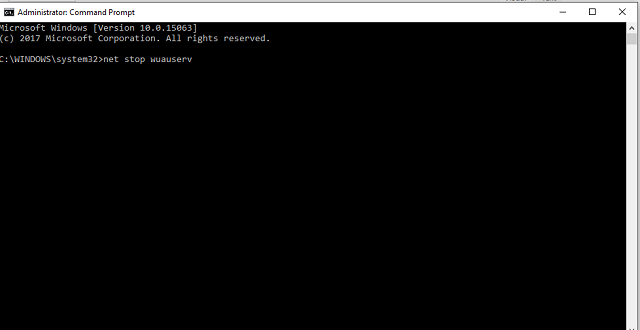 Go to Search, type cmd, right-click it, and open Command Prompt (Admin). Now, navigate to C:WindowsSoftwareDistribution and delete everything inside. Close the Command Prompt and try updating to Creators Update again. At the end, if the standard over-the-air approach is inadequate, you can as well use an alternative method. And this, even though it can be time-consuming, proved as the best solution for all update-related issues. Especially, the storage bug we’re addressing today. In order to upgrade to the latest patch, in this case to a long-awaited Creators Update, you’ll need a Media Creation Tool, stable bandwidth, and a little dose of patience. You can obtain Media Creation Tool here. After you download it, just follow the instructions and you’ll be good to go. These tips should provide you with enough material to resolve the ‘disk space’ bug. Additionally, don’t forget to share your questions and alternative solutions in the comments section. We would be grateful for your participation.